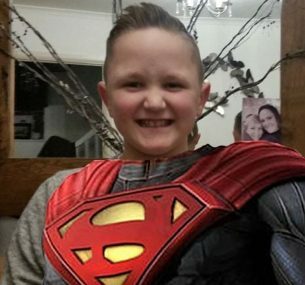 Frankie was just 9 years old when he was diagnosed with osteosarcoma. Frankie very sadly passed away last year at just 11 years old. Frankie’s family have shared their emotional story. I want to tell you something about an amazing young boy who came into my life 5 weeks early, but was taken away by this horrible disease osteosarcoma, far too young. He was the quietest little boy but was as strong as an ox. He liked fast cars, money, trainers, football and was nicknamed Frank the tank by his rugby coach. A typical boy. He started limping when he was 9 and was told by 4 different doctors that it was ligament damage. Prior to this, Frankie was swimming and diving in a swimming pool, still playing rugby and football, with no symptoms of it being anywhere else other than limping on one leg, hence the name Frank the tank. To cut a long story short. I eventually took him to A&E where, with a simple x-ray, my son was diagnosed. It had broken his knee cap in half and spread round his little body, both knees and lungs. My son took everything that stood in his path, from MRI scans, a bionic leg, the lower lobe of his lung being removed to eventually too many brain tumours to count. This shouldn’t be happening to children and in the 2 years of living and breathing cancer with my son, I also watched 6 other children die from this awful disease, one of them was Frankie’s girlfriend, which he met at the hospital. Last year we celebrated what would have been his 12th birthday without him. He was my world, my hero, my best friend and my life. Cancer has changed us all, but it made my son the hero he was and still is, in my eyes, today. If you have a story that you would like to tell, please contact us by email. 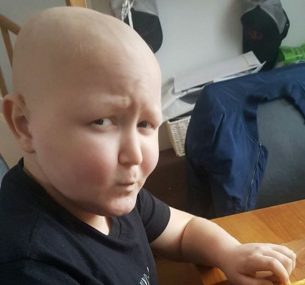 Frankie Biggs was just 9 years old when he was diagnosed with osteosarcoma, he sadly passed away in 2018 aged 11. 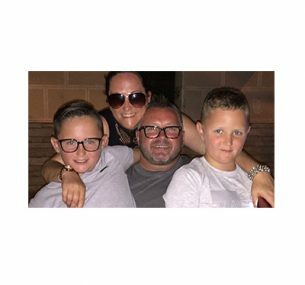 Frankie’s mum, Alison, and close family friend Paul Britton share his moving story at the first International Osteosarcoma Research Symposium held on January 31st 2019.